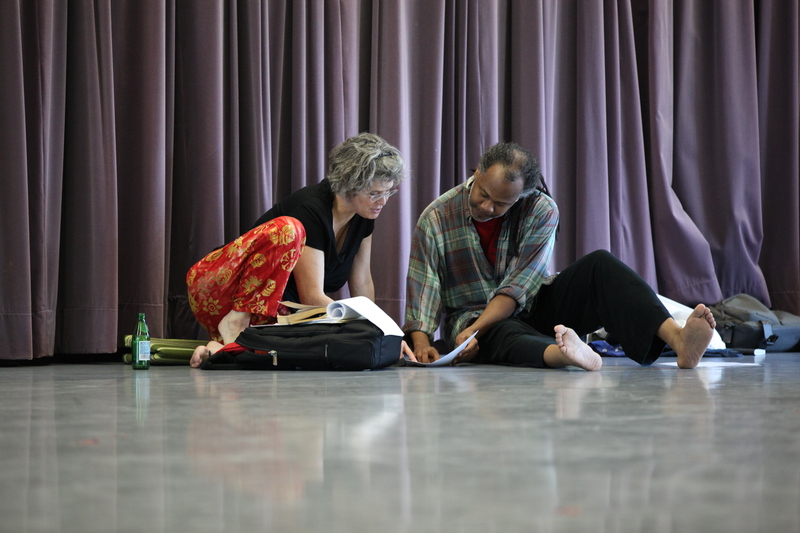 Dramaturge and DSA board member Susan Manning with Reggie Wilson of Fist and Heel Performance Group. Photo by Chris Cameron. Organized in 1978 as a professional network, SDHS was incorporated as a non-profit organization in 1983 and counted among its members individuals and institutions across the globe committed to the interdisciplinarity of dance studies. SDHS was admitted to the American Council of Learned Societies as a constituent member in 1996. SDHS defined dance history in the broadest possible terms. To recover the meaning of the dance event for participants and spectators, SDHS embraced a wide range of research methods. Some were drawn from related disciplines such as musicology, anthropology, theater and performance studies, feminist theory, and queer theory; others employed dance-specific modes of inquiry such as movement analysis or choreographic reconstruction. SDHS members worked in a broad range of different positions. While some are independent scholars, others teach dance studies in departments of dance, theatre, music, and performance studies as well as in other academic departments of colleges and universities. Many are scholar-practitioners, and combine research with performance. SDHS members also worked as performers, arts administrators, dance critics, filmmakers, notators, reconstructors, librarians, and archivists. The society especially welcomed graduate students interested in dance research, whatever the academic orientation of their doctoral programs. SDHS annual conferences featured paper presentations, panel discussions, movement workshops, and performances on a broad range of topics. During each conference, SDHS working groups met in informal sessions to share information and ideas on their common interests. SDHS also presented annual awards at each conference in recognition of outstanding scholarly work in dance studies.